On 31st August and 1st September, the Centre for Education Research and Scholarship (CERS), Middlesex University, and the Oxford Centre for Higher Education Policy Studies (OxCHEPS), Oxford University, jointly hosted a conference on the subjects of trust, well-being and happiness in higher education. Taking place at Oxford University’s New College, the event was attended by a broad range of academics and doctoral students, from fields including economics, medical studies, philosophy and law. Professor Jill Jameson, Chair of the Society for Research into Higher Education (SRHE), discussed the links between trust and leadership in higher education and the role that managers can play. Dr Andreas Hoecht discussed trust in relation to professional autonomy and accountability. Dr Kate Maguire brought an anthropological view to understanding trust in higher education. Professor Peter Maaseen conceptualised trust in higher education with regard to the social contract and different perspectives on how to achieve trust. Sir Anthony Seldon, vice chancellor of the University of Buckingham, spoke about well-being in his own institution and his use of mindfulness with both students and staff. Professor Paul Gibbs of CERS, argued that universities should be focusing on helping their students to achieve contentment and profound happiness rather than simply satisfaction. Professor Alison Scott-Baumann noted that we only seem to understand happiness in opposition to its negative, creating polarities and binary logics. Ioana Duta used her background in linguistics to describe happiness scales and the issues with defining happiness (particularly in the English language). Dr Luisa Corrado discussed the economics of well-being and the relationship between economic prosperity and happiness. Professor Sara Stewart-Brown outlined the role of higher education in terms of well-being. Dr Carolina Escobar-Tello talked about sustainable societies and the links between design and well-being. Professor Bruce Macfarlane talked about academic freedom from the perspective of students. And Professor Patricia Broadfoot discussed assessment in higher education and the key role that trust plays. 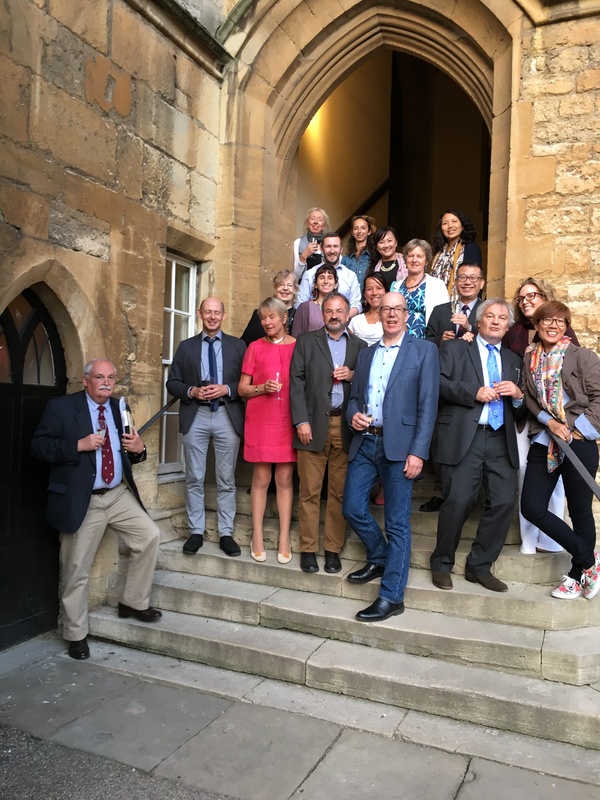 The conference marked the start of an informal partnership between CERS and OxCHEPS which will continue to explore the themes of trust and happiness in higher education through publications and future events. The event was funded by benefactor Dr Charles Lam and was jointly organised by Middlesex University and Oxford University.